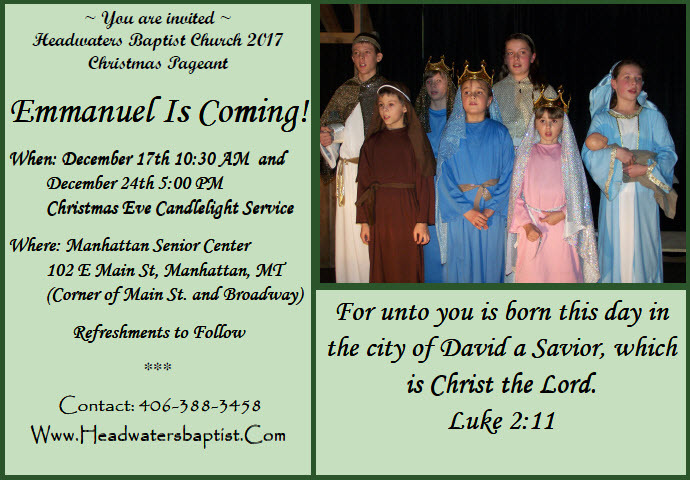 Headwaters Baptist Church of Gallatin County is here to serve Manhattan, Montana and the surrounding areas. 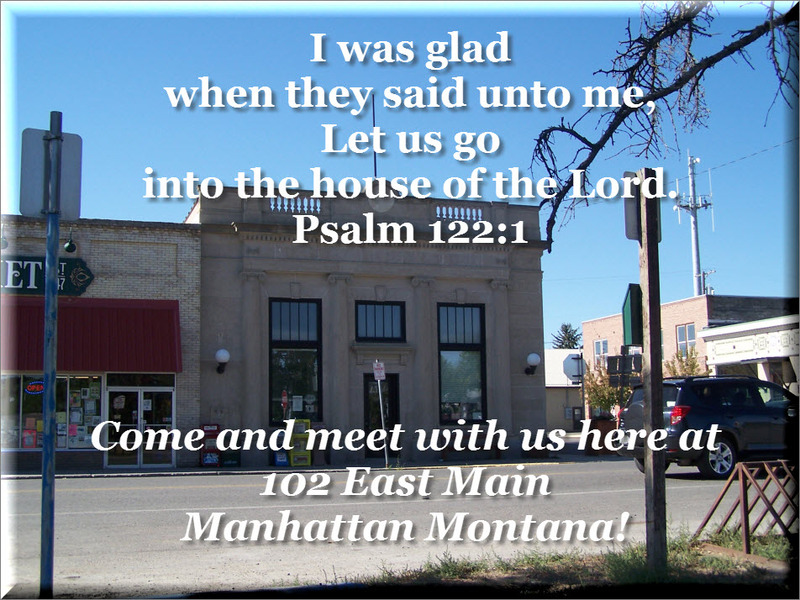 We meet at the Manhattan Senior Center located at the corner of Main Street and Broadway. 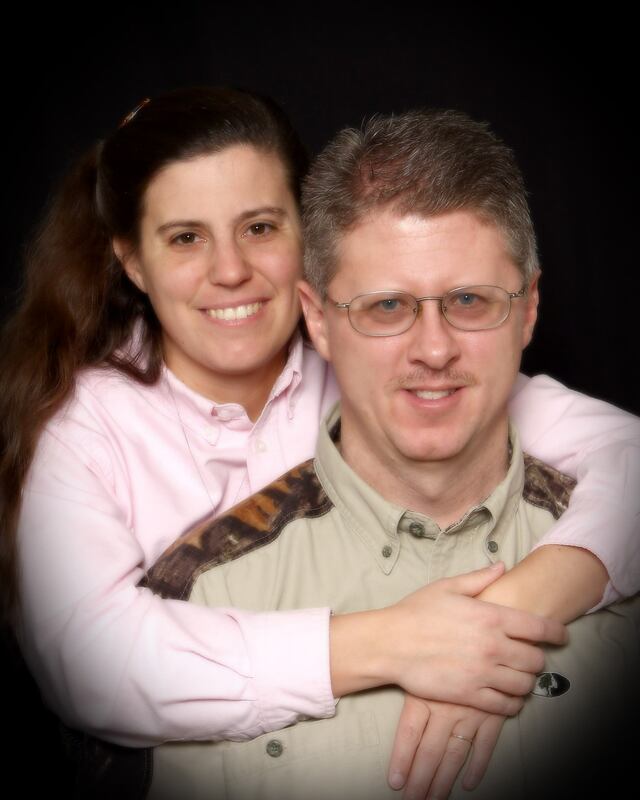 Headwaters Baptist Church desires to help those who are seeking a personal relationship with our Lord Jesus Christ. We are devoted to assisting individuals build a personal relationship with Jesus Christ and then with their families. Many times believers comment on our name, “Headwaters”. 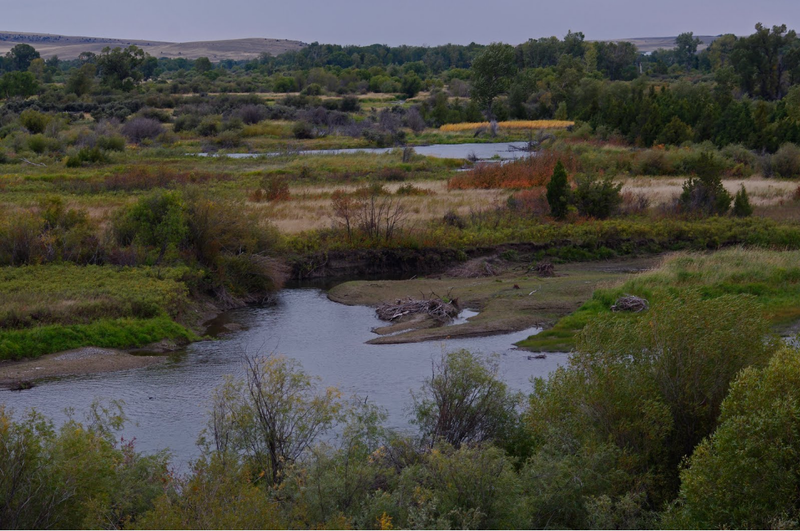 Originally the name was chosen because of the local Missouri Headwaters State Park where the Jefferson, Gallatin, and Madison rivers meet to form the Missouri River. But there is also a more important meaning to this name. Taken from John 7:38, “Out of your belly shall flow rivers of living water…” Christ is the head of all that we strive to do here. Without Christ we are nothing, but through his power we hold forth the light of salvation to and hope to this community. Our goal here at Headwaters Baptist Church is to reach individuals and families– not programs. Our pastor, Mike Lemmon says it best. 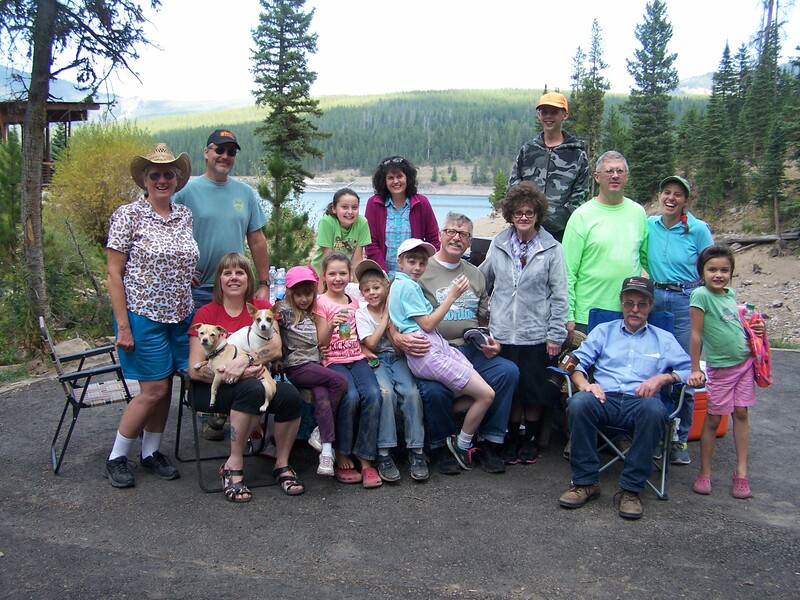 “I, as a pastor, have grown to see the needs- in families and in ministry. The Christian life is not about being busy in church or our daily lives. But instead it is about learning of Christ and living our faith through our lives. 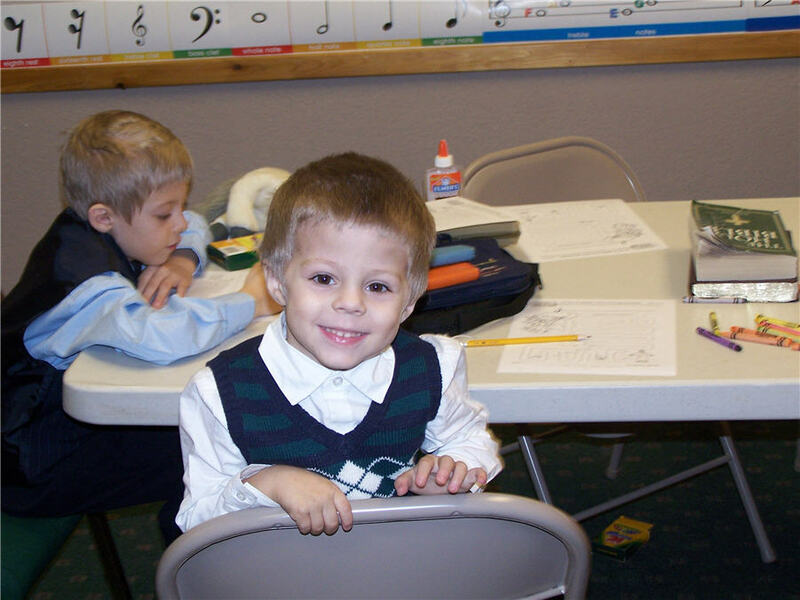 Why do such a high percentage of Christian children end up following the world? It is because we are too busy. 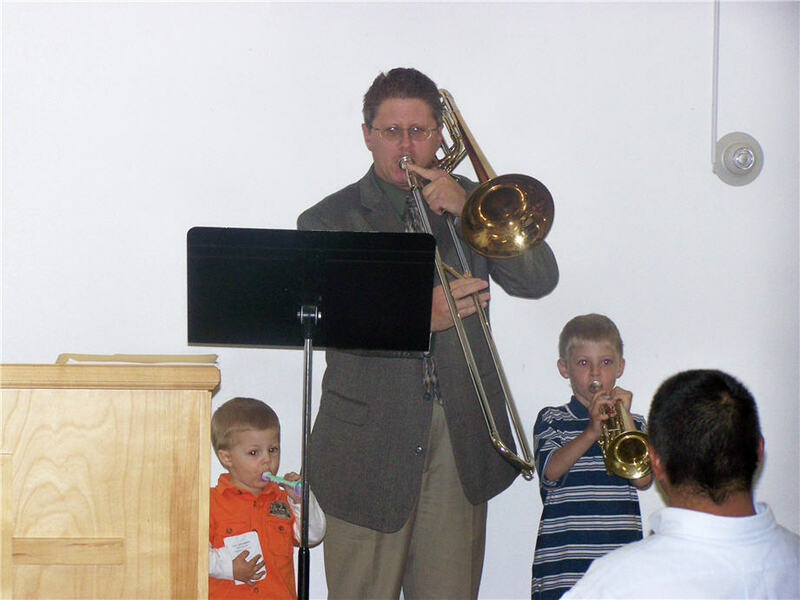 Music has a very special place here in our ministry. Praising the Lord through music and songs pleases Him. The Lord inhabits the praises of His people (Psalm 22:3). Our music ministry is very conservative in nature. Song selections include classic hymns and a few choruses. We use both piano and instrumental music. The church hymnal is specially arranged with full orchestration available for all instruments. We encourage both our children and adults to play and get involved. Drum sets and electric pickup guitars are about the only instrument that is not part of our worship. If you want the Lord around, just start praising Him. Children are the church of tomorrow. The Bible says in Matthew 19:14, “But Jesus said, Suffer little children, and forbid them not, to come unto me: for of such is the kingdom of heaven.” Through our Sunday School time and Tuesday Night Children’s Ministry we strive to instill in these children our love for the Lord, the truth of the Word of God, and Bible memory. Our children’s class room walls are covered with maps, photos of Biblical locations, and historical items. This live Bible Journey is exciting and eye opening to them. Our Pastor, Mike Lemmon, believes in expository preaching through the Bible is the best way to ground Christians and see them grow. Currently on Sunday Mornings he is preaching the Life of Christ through the Gospels. He carefully researches the sequence of events in Matthew, Mark, Luke, and John, and builds his messages based on these scriptures. In Sunday School and Tuesday Nights Pastor Lemmon is teaching through the Book of Exodus. With a firm belief in Biblical History and seeing through throughout every book of the Bible, your faith will be increased through this in depth study of the Word of God. Headwaters Baptist Church was founded in February of 2009. We are a small church but God has given us a long term plan and love for this community. “For where two or three are gathered together in my name, there am I in the mists of them.” Matthew 18:20. Many times a lasting ministry is built slowly– over years, especially in the Northwestern United States. Often we have heard our Pastor and wife say that this is home for them and someday you will find them buried down in Manhattan graveyard. This is a life calling for them, not just a step along the way.